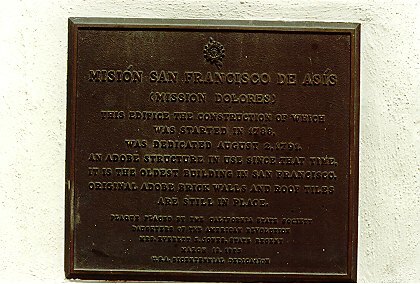 This edifice the construction of which was started in 1788, was dedicated August 2, 1791. 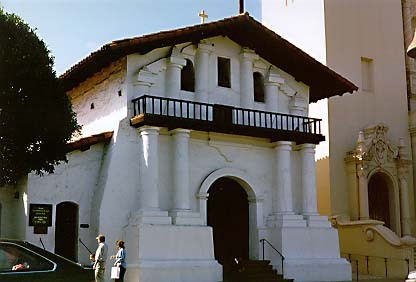 An adobe structure in use since that time, it is the oldest building in San Francisco. Original adobe brick walls and roof tiles are still in place. Dolores St between 16th and 17th Sts, San Francisco. Return to other landmarks in San Francisco county.